Palate Foundational Wine Courses provide an incredible opportunity for you to get to know wine on a whole new level. Join Craig Parker, an international wine maker and educator for an unforgettable evening. This is perfect preparation for the upcoming holiday season. Join us for wine tasting complete with the tools the professionals use. Learn how to know your own palette and talk about wine with ease and delight! This event makes the perfect date night! This course is open to anyone who is 21+ who wishes build their confidence through instruction on wine profiles, the language of wine, and what to look for wine. You must be 21yrs of age to attend. All classes offered by Palate Academy provide students with everything they need to complete the class. This includes class guides,written materials, interactive materials and any equipment required during class. Does Palate Academy do private event, corporate events, or private training? Yes! To set up any one of these events, you can send an rebekah@cultivate712.com or palateacademytexas@gmail.com. 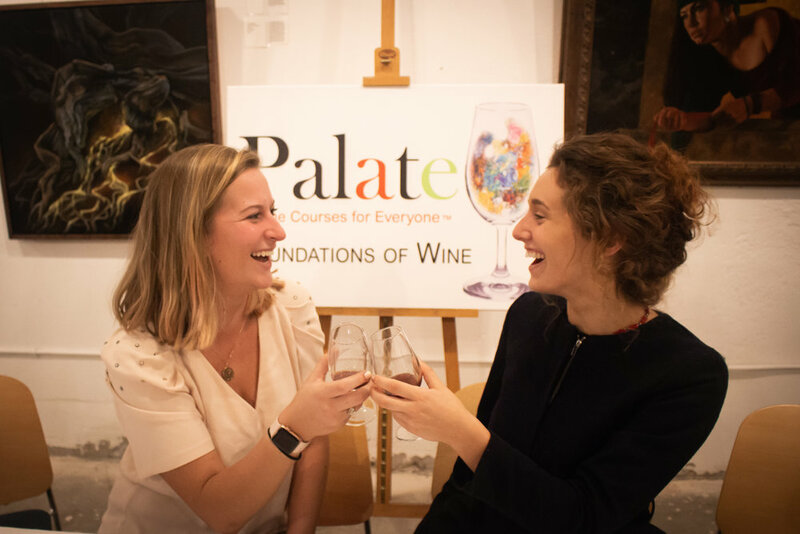 Does Palate Academy offer any courses besides foundational wine courses? Yes! Palate Academy offers classes on whiskeys, coffees, cheeses and salts as well! Refunds available up to 7 days prior to the class. Absolutely! Just let us know who we should be expecting.